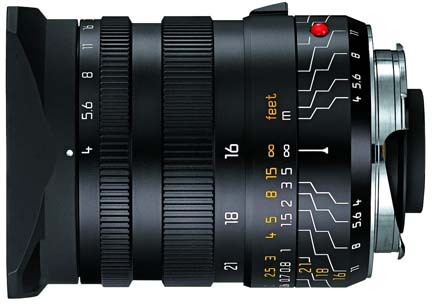 The Leica Tri-Elmar-M 16-18-21mm f/4 Manual Focus Lens is a unique lens that features 3 distinct wide angles inside 1 form factor. Each focal length is easily accessible with a twist and click stop and the included viewfinder enables precise cropping of your subject on both analog and digital M mount cameras with bright frame lines and a handy horizon level guide. 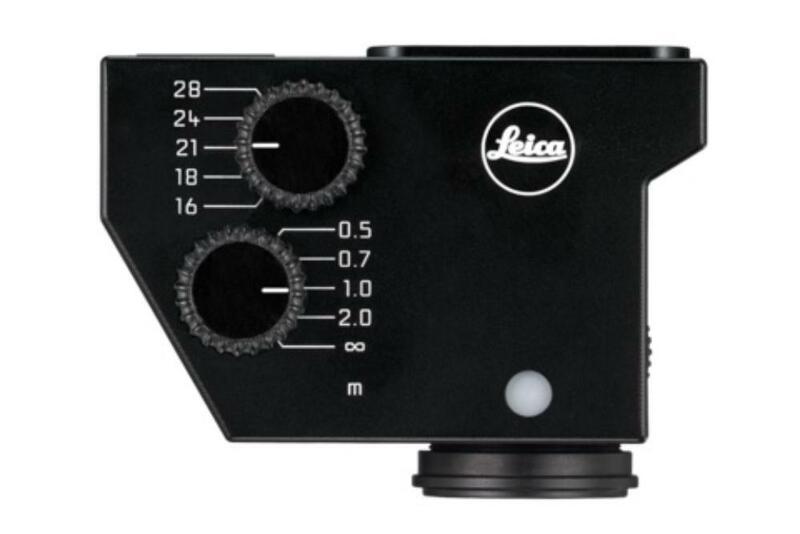 A parallax compensation dial on the viewfinder enables adjustment of the frame to the focusing distance in five steps. One aspherical lens element and one with achromatic correction enable high resolution viewing on your M mount camera. The lens produces minimal distortion and barely perceptible field curvature, making it a great choice for architecture and interiors. It has a brilliant depth of field for hyperfocal photography, which is a great feature for street photographers. Note that this lens is entirely manually operated and provides a very tactile experience. It is ideal for technical applications, experimentation, and students of photography. • This lens is manual focus only and compatible with both analog and digital M mount cameras. It includes the 6-bit updating for use with digital cameras. • This lens does not accept front screw-on style filters. It requires a filter holder which is not included. 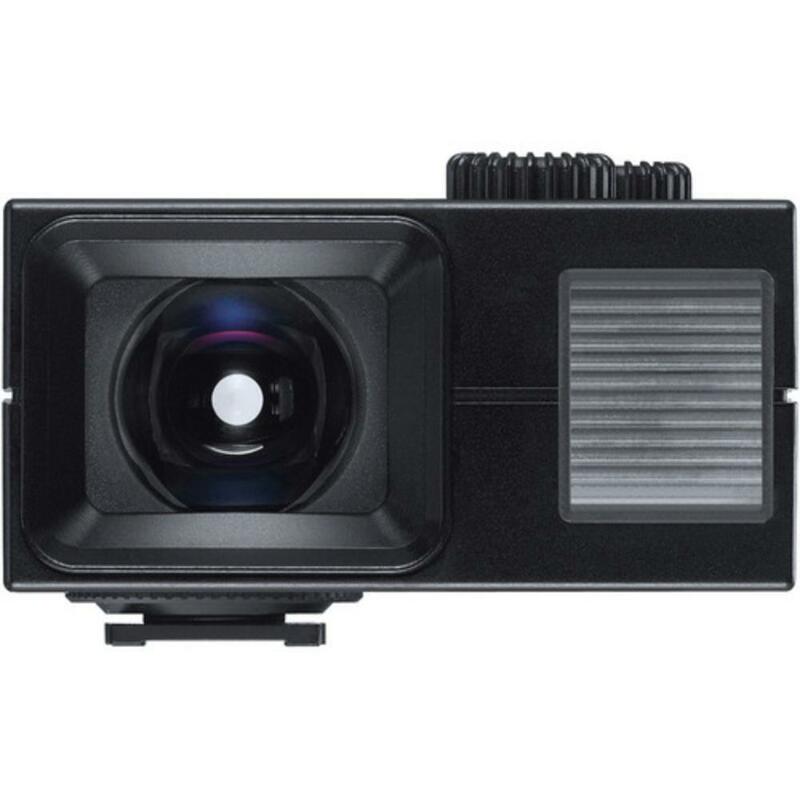 • When used on an M8, the effective focal lengths are 21mm, 24mm, and 28mm because of the 1.33x crop factor.